Many new homes are constructed with factory built chimneys that are surrounded by a chimney chase. A chase is a wood framed enclosure that protects your prefabricated chimney. 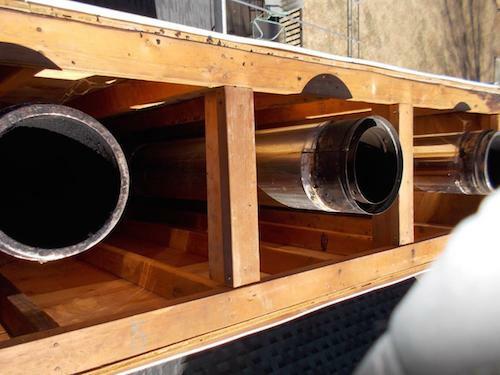 The chase covers or chase pans are metal shields that fit over the chimney pipe and cover the rest of the chase opening to prevent rain, snow, animals, or debris from entering into the Chase. Unfortunately most home builders use the cheapest available products , generally galvanized steel. Over time, these galvanized chase covers/chase pans rust and sometimes will stain your siding or roof. Eventually they will also rot and perforate allowing damaging water into your wooden chase and/or home. Water can soak insulation and sheet rock and create unhealthy mold problems in home. It is not uncommon to have to replace these cheap pans withing 5-10 years. 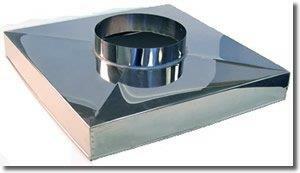 Safeside Chimneys Chase Cover installations are done with 22 guage stainless steel, lifetime warranteed products. They are custom made to fit your home. They are high quality and made to withstand all the elements such as damage from snow and ice , as well as rain. HOW DO I KNOW I NEED A NEW CHASE COVER ? 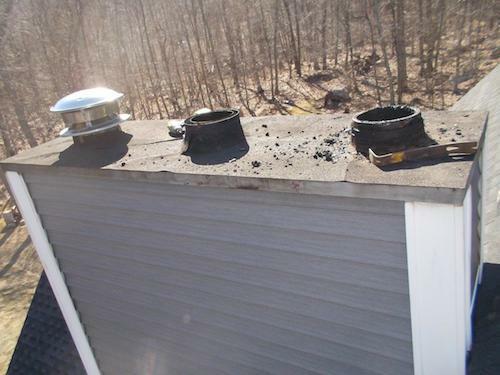 Have your chimney sweep inspect it when they do their regular chimney sweep and inspection. If you see rust stains, it typically has already been compromised. If you see leakage into the home, then it is possible it already perforated or has some other structural issue. Most cases you want to replace these covers prior to the time they damage the home. 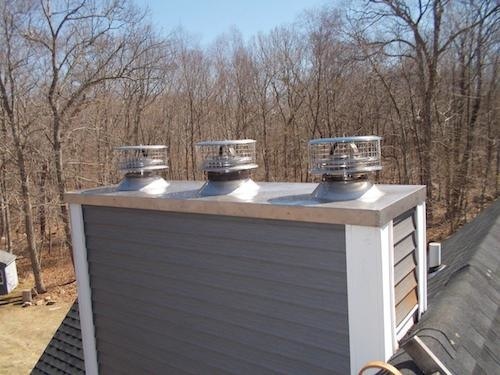 Choose Safeside Chimney for you Chase Cover Installation!